Cars.com is a trusted and reliable website for all things automotive. Whether you are looking to buy, sell or simply navigate through the wide range of options, it boasts a user friendly interface and answers to all of your automotive questions. 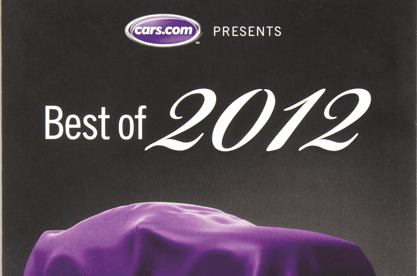 Annually, Cars.com hosts the Best of the Year awards where the top overall new car is announced. 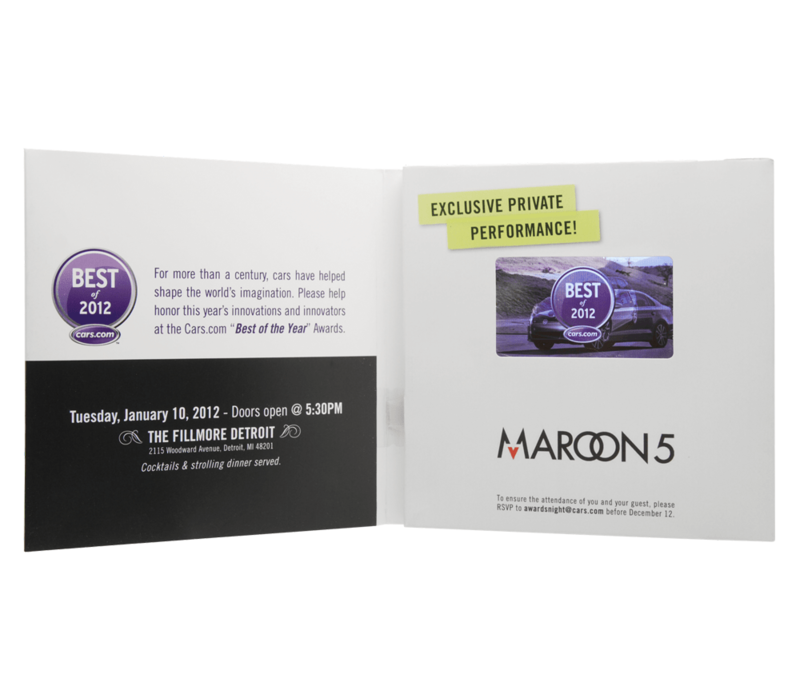 With the upcoming “Best of 2012” awards night, Cars.com wanted an invitation that would stand out and ensure a high attendance rate. Americhip collaborated with Cars.com to produce a sleek Video in Print invitation. Upon opening the mailer, highlights from last year's show begin playing followed by a quick snapshot of this year's nominees. Needless to say the award show was a huge success and everyone who received the video invitation was blown away by its ingenuity.